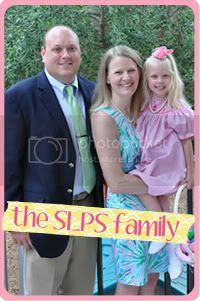 Southern Living: Preppy Style: Our Weekend! Wow! Where to begin, lots of things going on and LOADS of pictures. So to make it easier on you, I made collages which was a lot of fun! So let's get going, shall we? Saturday, we made a trek to the Palm Beach zoo. Lallie's favorite animals were the "Ocelot Dragon" (the Ocelot cat and Komodo dragon were right next to each other. She liked the dragon the best, but clearly go the names mixed up). She also liked the rooster, the reindeer and lions (note....we did not see any reindeer or lions). She also really enjoyed the famous Florida bird! 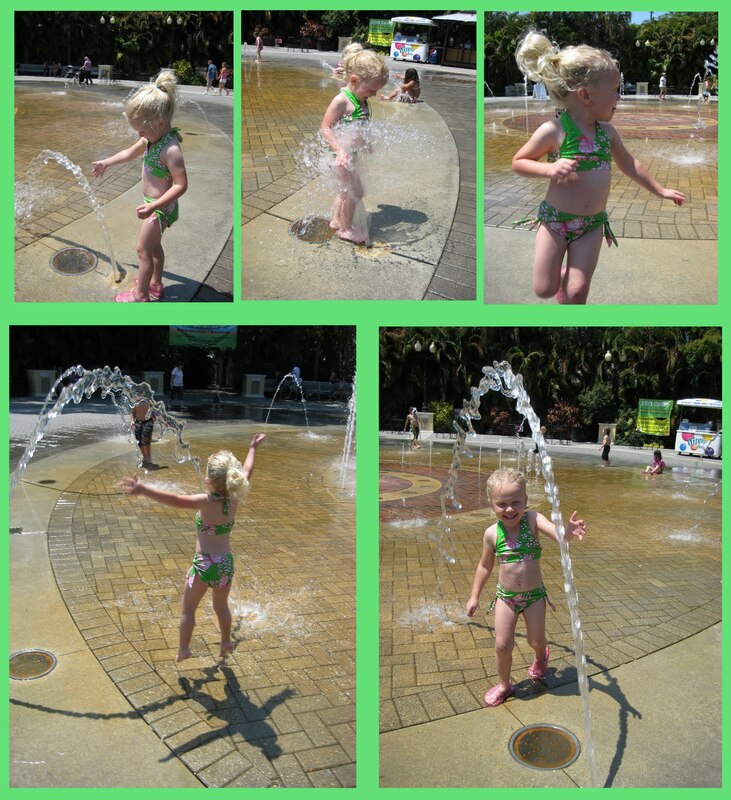 Before we left the zoo, Lallie had a chance to play in the water fountains. So much joy! After a little "rest" from our day at the zoo, we proceeded to head into the nice and wonderfully cool pool. 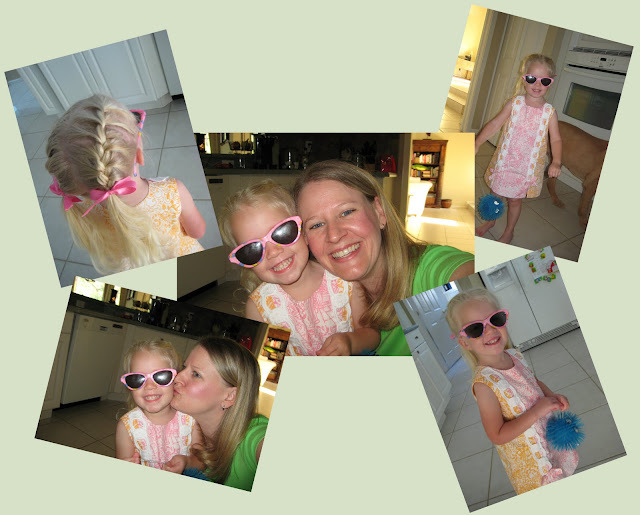 Sunday, we headed off to church, but not before a little Mommy-Lallie fun in our Lilly outfits of the day! Lallie also showed me her self portrait that she made at school. 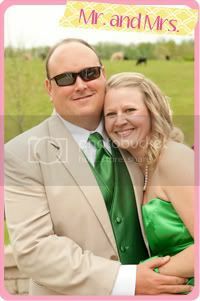 Don't you just love her use of pink and green? After church, I told Lallie that her friends were coming over to play that afternoon. 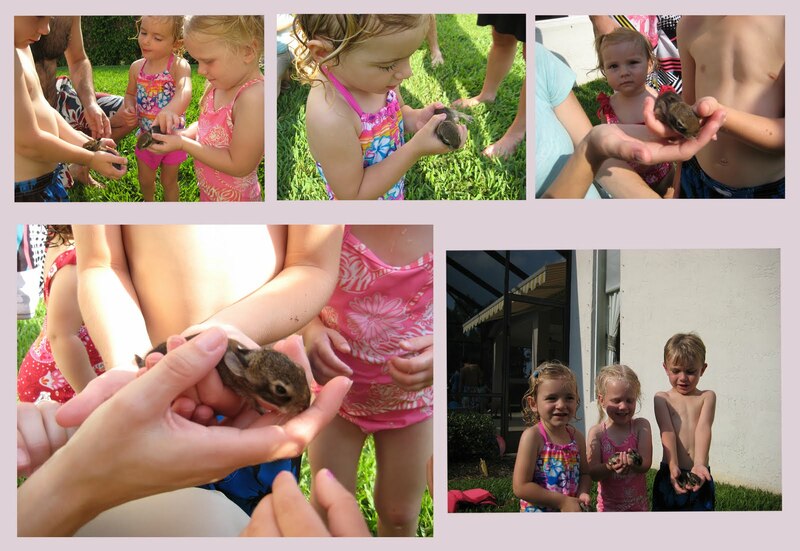 We had several friends and their four daughters and one son over for Husband's fabulous BBQ ribs and swimming. Lallie and I went to clean her playroom and then she asked if we were done. I told her yes and she disappeared. I later heard her calling from upstairs "Mommy, you have to read me a book before nap!" Really? She voluntarily went upstairs at 11:30 am to take a nap! Shocking! She was just so excited so felt that the nap might make time go by quicker! And.....in reference to previous posts about Mr. Bunny. Well, Mr. Bunny wasn't a Mr. In other news....we upgraded from Tassimo to K-Cups this weekend! What is your favorite K-Cup? We are currently open for suggestions! And, we switched Lallie's regular Capri Sun Waters to Honest Kids Organic juice (without the splenda or sweet-n-low or whatever it is). So far, Lallie does NOT like this stuff. U.K. continues to be our source of pure love and entertainment in addition to the family "no-effort-vacuum cleaner." He recently received a haircut as well, perfect now that it's getting hot out. Looks like such a fun time! Yep, saw Luke Donald during the Masters - loved his outfit! Looks like a fantastic weekend. What I wouldn't give for warm weather and BBQ. Are you sick of me saying that yet??? Seriously, I think I live in the wrong part of the country (Even though I love it!). Stick with the juice bags. So much better than those with high fructose corn syrup and artificial coloring/flavoring. Perhaps, there are some others on the market to try. I'll look next time I'm at my co-op (just returned an hour ago-bummer). Love the self-portrait and the Lilly. 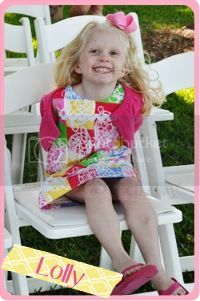 Speaking of Lilly, have you seen the new "Callahan" prints. I just bought the "daffie" pair. OMG...LOVE 'EM! That looks like such a fabulous weekend! 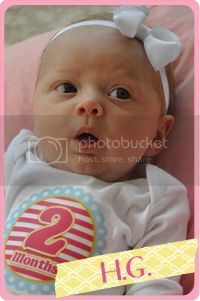 I love those zoo pictures and you and Lallie look so pretty in your Sunday Lilly! Can I come over to your house for some ribs and a swim? That sounds amazing right about now! Hope you have a wonderful week! I love my Keurig! My favorite K-cups are Wolfgang Puck's Jamaica Me Crazy, and Coffee People's Tree Hugger and Donut Shop. Looks like you all had a fabulous weekend! 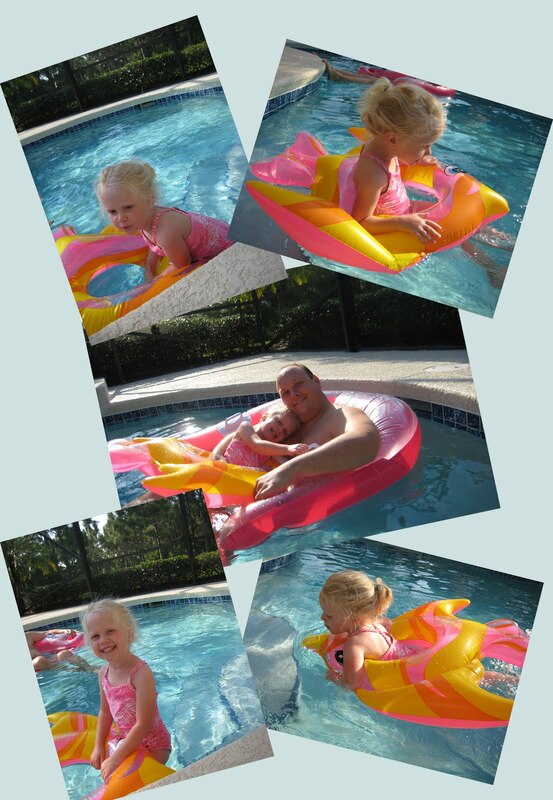 lallie is so cute in her lilly, especially that bikini! and luke donald-- i'll take him! Your pictures are so beautiful! What kind of camera do you use? The way you have them all arranged in the collages--great!! And Luke's outfit...love. Happy Monday! What a fun post full of adorable pictures!! Lallie is tooooooo cute, love her in the pink sunglasses :) The hubs was glued to the tv watching the masters. I only watch to see what outfits the guys are wearing, of course Luke Donald was the winner in my book!